Marriott International has signed three new deals across North and West Africa, including its debut property launch in Liberia besides new hotels in Ghana and Morocco thus reinforcing its commitment to boosting its presence across the continent. The hospitality giant is on track to expand its footprint in Africa to 200 hotels by the end of 2023, said senior company officials on the sidelines of Forum de l'Investissement Hôtelier Africain held in Marrakech, Morocco. The new deal signings - The St. Regis Marrakech Resort at Morocco, Residence Inn by Marriott Accra Kotoka Airport at Ghana and the debut Liberian property Four Points by Sheraton Monrovia - highlight the company’s growth in these countries, they stated. Organised by Bench Events, Forum de l'Investissement Hôtelier Africain is a gathering that unites North and West African countries in a bid to develop their economies and support hospitality investment. The forum connects business leaders from international and local markets - driving investment into tourism projects, infrastructure, entertainment and hotel development across the region. The North and West Africa regions play a pivotal role in Marriott International's overall growth strategy for the continent, said a top official. “New and established markets across North and West Africa continue to present us with immense opportunities to further enhance and diversify our portfolio in the continent,” remarked Jerome Briet, the chief development officer, Middle East & Africa at Marriott International. “The new deal signings further strengthen our robust development pipeline, which is a result of our long-established presence in Africa and the trust owners have in Marriott International and our compelling portfolio of diverse brands,” he stated. Marriott International’s luxury brand portfolio in Morocco is slated to further expand with the signing of thsi new property. It will be a part of the Assoufid Golf Resort and will include 80 luxuriously-appointed guestrooms and villas, all offering spectacular views of the Atlas Mountains. Offering the ideal escape from the city, the resort will be in close proximity to the award-winning, 18-hole Assoufid Golf Club which has established itself as one of the best courses in Africa. Projected to open in 2023, the 12-storey hotel will consist of 160 spacious suites with separate living, working and sleeping zones, all equipped with fully functional kitchens. Other facilities in the hotel will include three food and beverage outlets, including a rooftop bar, a health and leisure club and a boardroom. The hotel will be strategically located in the Airport Residential Area of Accra and less than 1.5 km from the Kotoka International Airport. A franchised property, the hotel will be managed by Yamusah Hotels Management Company Limited, the owner and developer of the property. Marriott International is set to make its debut in Liberia with this new property. Anticipated to open in 2020, the hotel will consist of 111 stylishly appointed guestrooms and four food and beverage outlets, including a rooftop bar and lounge and speciality restaurant. Four Points by Sheraton Monrovia will be in the heart of Monrovia’s central business district and near key governmental and ministerial buildings, diplomatic facilities and the University of Liberia. The hotel will boast Four Points by Sheraton’s approachable design and excellent service and reflect the brand’s promise to provide what matters most to today’s independent travellers. It is a franchised property owned by Sea Suites Hotel LLC and will be managed by Aleph Hospitality. Marriott International said in North Africa, it currently has 30 hotels and over 10,000 rooms in its portfolio and with a robust pipeline in place, the company expects to grow its hotel portfolio by 60 per cent by the end of 2023. 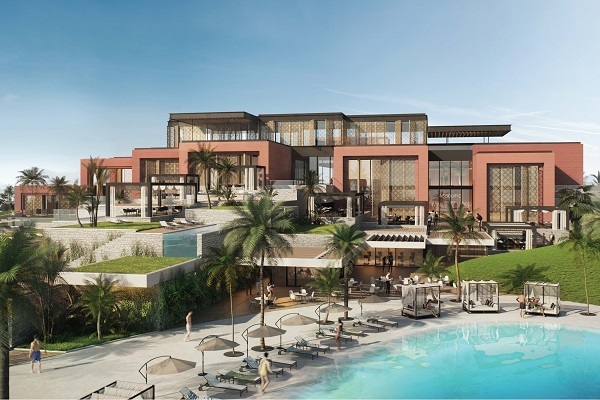 The company anticipates the opening of four new properties across North Africa in 2019, including the debut of The Ritz-Carlton Rabat which will mark the company’s first luxury property in Morocco. Other planned openings include the launch of the St. Regis brand in Egypt with The St. Regis Cairo, the Four Points by Sheraton Setif in Algeria and the Marrakech Marriott Hotel in Morocco.